Iraq's Prime Minister Haider al-Abadi speaks with U.S. Secretary of State Rex Tillerson (not pictured) in Baghdad, Iraq October 23, 2017. BAGHDAD - Iraqi Prime Minister Haider al-Abadi ordered a 24-hour suspension to military operations against Kurdish forces in northern Iraq, to allow for the peaceful deployment of Iraqi troops at the border crossings with the Kurdistan region. A Kurdish spokesman earlier said the two sides reached an agreement on Friday to stop fighting which broke out on Oct. 16, after Iraqi forces seized the oil-city of Kirkuk. Abadi ordered the offensive on Kirkuk and other Kurdish-held territory in retaliation to the Sept. 25 vote for independence in a referendum organised by the Kurdistan Regional Government (KRG) - a drive that was all but crushed by the surprise attack. The 24-hour truce “should allow a joint technical committeee ... to work on the deployment of federal Iraqi forces in all disputed areas, including Fish-Khabur, and the international border”, Abadi said in a statement. He wants to take control of border crossings with neighbouring countries, including one in the Fish-Khabur area through which an oil export pipeline crosses into Turkey, carrying Iraqi and Kurdish crude oil. The KRG on Wednesday proposed an immediate ceasefire, a suspension of the referendum result and “starting an open dialogue with the federal government based on the Iraqi constitution” - call rejected by Baghdad. According to the KRG, which is based in the Kurdish autonomous region’s capital of Erbil, the ceasefire entered effect at 1 a.m. on Friday (2200 GMT Thursday). U.S. Secretary of State Rex Tillerson has also urged dialogue to start, in a call to Abadi, the Iraqi central government said in a statement on Friday morning. The multi-ethnic city of Kirkuk, which lies outside the KRG official boundaries, fell to Iraqi forces without much resistance on Oct. 16 but the Kurdish Peshmerga began to fight back as they withdrew closer to the core of the Kurdish region. The fall of Kirkuk, considered by many Kurds as the heart of their fatherland, was a major symbolic and financial blow to the Kurdish drive for independence championed by Barzani, as it halved the region’s oil export revenue. The most violent clashes happened in the northwestern corner as the Peshmerga fought back offensives toward Fish-Khabur, and also south of their capital Erbil, leaving dozens of casualties on both sides. Speaking in Geneva on Thursday, Tillerson said he was “disappointed that the parties have been unable to reach an entirely peaceful resolution” and that he had encouraged Abadi to accept the KRG “overtures for talks on the basis of the Iraqi constitution”. In an interview with Kurdish TV Rudaw, Dillon called on the two sides to extend the deal to a complete halt in hostility and “refocus our efforts on defeating ISIS”. “We are encouraging dialogue, we are trying to get the tensions down,” he added. 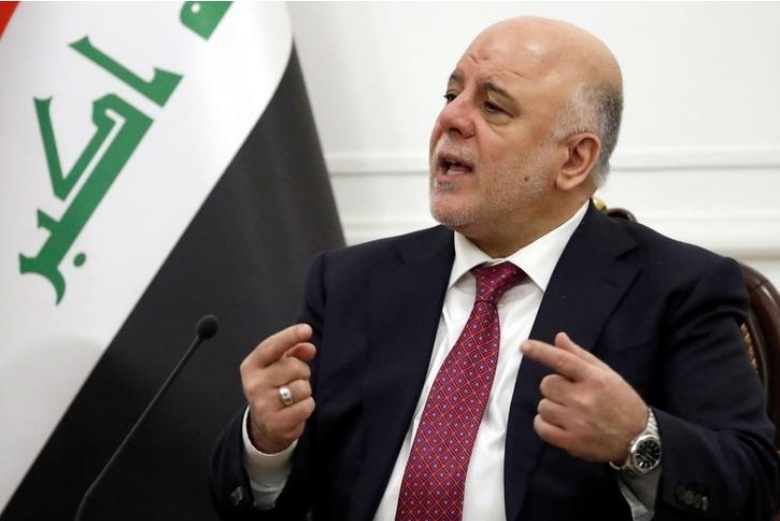 Iraqi Prime Minister Haider al-Abadi ordered a 24-hour suspension to military operations against Kurdish forces in northern Iraq, to allow for the peaceful deployment of Iraqi troops at the border crossings with the Kurdistan region. A Kurdish spokesman earlier said the two sides reached an agreement on Friday to stop fighting which broke out on Oct. 16, after Iraqi forces seized the oil-city of Kirkuk.